The voters of the Cy Young award are finally starting to vote for the right people. Here’s hoping the same can be said for the MVP award some day. Another way to word the Cy Young award would be to call it the Best Pitcher of the Year award. Unfortunately, the MVP award isn’t as simple, but it should be. The voters of the Cy Young award have long been putting too much value on the number of wins a pitcher has even though the rest of the team can be more responsible for that than the pitcher on the mound. This year, the American League Cy Young winner was Felix Hernandez of the Seattle Mariners even though he only won 13 games. Hernandez won the award because he was the best pitcher in the American League. Well done, voters. When it comes to the MVP award, too much influence is placed on a player’s team’s place in the standings. If a player’s team is in last place, he obviously must not have been valuable enough so he doesn’t deserve the award – this seems to be the mentality among voters. I don’t agree. The award should go the person who contributed the most to his team, regardless of its place in the standings. There have been exceptions like when Andre Dawson won the 1987 National League MVP for the last-place Cubs or when Alex Rodriguez won the AL award in 2003 for the last-place Rangers. These are cases when the player’s statistics exceed the other competitors by so much, they can’t be ignored. These instances are few. There is a new statistic that should be considered heavily in MVP voting: Wins Above Replacement (WAR). This calculates the number of extra wins a team accumulates over a season for a player compared to what an average replacement player would accumulate (zero). Josh Hamilton of the Rangers and Joey Votto of the Reds won this year’s MVP awards. According to the WAR numbers, the most valuable players in each league was Evan Longoria of the Rays (7.7 WAR) and Albert Pujols of the Cardinals (7.2). Hamilton’s rating was 6.0 (sixth in AL) while Votto’s was 6.2 (fifth in NL). It will be a long time before voters aren’t looking at home runs and RBI, but I hope over time they’ll consider the new statistics. Was Miguel Cabrera less valuable to his team than Josh Hamilton because the Tigers finished with a .500 record? I don’t believe so, but the voters do. Where would the Indians have finished the season without Shin-Soo Choo? If you surround a great player with lesser talent, doesn’t that make him that much more valuable? What about the clubhouse factor? Can you consider an average player more valuable than an offensive star because he keeps the spirits high and doesn’t let anyone get too down in the clubhouse? Tony Perez was a good player for the Big Red Machine, but his numbers didn’t match up with Joe Morgan, Pete Rose, Johnny Bench and George Foster. Yet, when the Reds traded him prior to the 1977 season, the team’s production dropped off. How valuable was Perez? Michael Cuddyer isn’t the best player on the Minnesota Twins, but many believe his unselfishness helps the team in a way others can’t. Does this make him more valuable? I think so. If the MVP award voting doesn’t change, I can’t complain much. It’s an award. It’s an opinion. It’s only who a bunch of voters thought was the most valuable player of the year. I know Goodfellas was the best picture of 1990 even though Dances With Wolves won the Academy Award. I also know Bob Dylan should have a room full of Grammy awards from the sixties, but the voters didn’t have a clue what they were listening to. I also know Johan Santana was the best pitcher in the American League in 2005. This is my opinion and a lot of the time it doesn’t agree with what a small group of voters think. 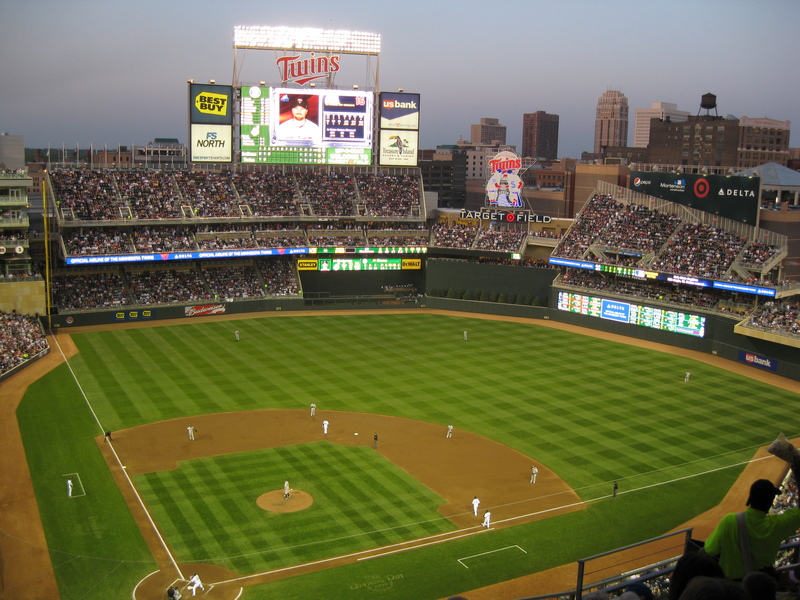 The Minnesota Twins recently announced plans to upgrade the beautiful Target Field with improvements such as a new high-definition scoreboard above the right-field stands and free Wi-Fi throughout the park. In response to this, 2006 American League MVP Justin Morneau announced his displeasure that the team did not decide to move in the fences (http://sportsillustrated.cnn.com/2010/baseball/mlb/11/12/morneau-twins.ap/index.html). Target Field proved to be one of the most difficult fields in the big leagues to hit a home run. The Twins hit 52 home runs at home and 90 on the road while the pitchers gave up 64 at Target Field and 91 during away games. As a slugger, I can see where Morneau would like the fences moved in. Many balls were hit to the power alleys at Target Field last summer that looked like sure home runs, but either hit the wall, the warning track or into an outfielder’s mitt. Sluggers want to hit more home runs and drive in more runs and that’s no exception to Morneau. Justin Morneau is one of my favorite players. The longest home run I've ever seen was hit by him at Miller Park. I still disagree with him. On the other hand, Morneau is coming off selfish. Moving in the fences may help him, but few others. I love watching Morneau play baseball, don’t get me wrong, but I disagree with his argument. At the very least, I disagree he went public with his complaint. – You could still be in the Metrodome. After years and years of trying to get a real ballpark, the Twins finally build one of the most beautiful parks in the country and its first season is concluded with complaints. C’mon, Justin, be happy you’re playing under the sun on real grass and your locker isn’t the size of a broom closet. – Most of the time, the Twins are a small-ball team. The 2010 Twins were an anomaly compared to most of the teams in the last decade. 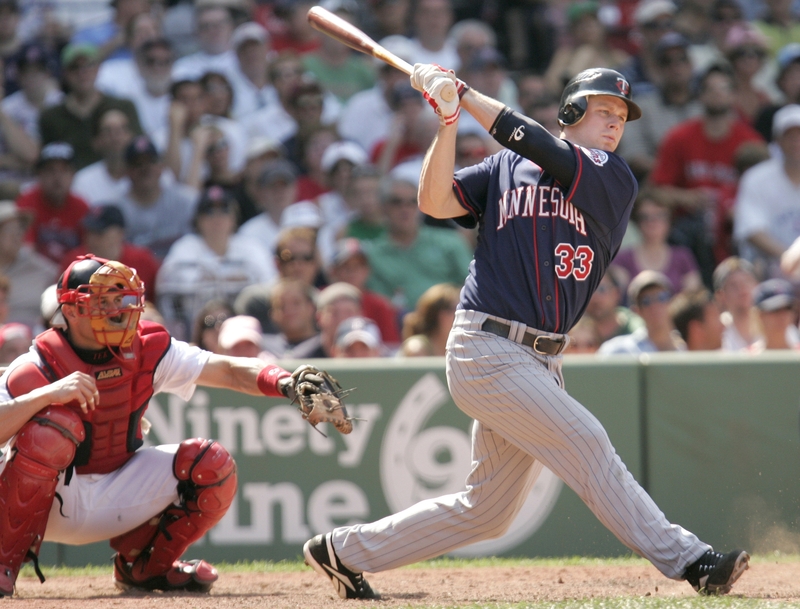 With the help from Morneau, Jason Kubel, Michael Cuddyer, Delmon Young, Danny Valencia, Joe Mauer and Jim Thome, the 2010 Twins played very little small ball. In fact, they were second-to-last in the American League in stolen bases (68). The Twins won’t be playing this kind of baseball forever. The 2001 through 2008 Twins would have thrived even more at Target Field. – Sluggers have been spoiled by small ballparks for too long. Almost every team in the majors has gotten a new ballpark in the last 20 years. Very few of them are considered pitchers parks. The exceptions might be Petco Park, Citi Field, Safeco Field and Target Field. Comerica Park in Detroit was a perfect pitchers and triples paradise before management decided to move the fences in after the 2002 season (the left-center field wall currently stands 370 feet from home plate – it used to be 395). If Target Field is a pitcher’s park, then it distinguishes itself from the other parks all the more. If the fences are moved in, it’s that much more similar to the majority. – I don’t hear any pitchers complaining. What happens when the fences are moved in? Will the Twins hitters make up the difference in home runs the pitchers give up? The pitchers need to keep the ball in the park and Target Field fits this purpose. The majority of Twins are pitch-to-contact pitchers so the club needs a park that will keep the ball within its dimensions. The best home run hitters normally aren’t swinging for home runs – they come naturally. If hitters are worried about not being able to hit a home run at Target Field, then don’t try. Aim for the gaps, doubles are more exciting anyway (https://tripleinthegap.wordpress.com/2010/08/05/tris-speaker-earl-webbs-records-can-be-broken/). 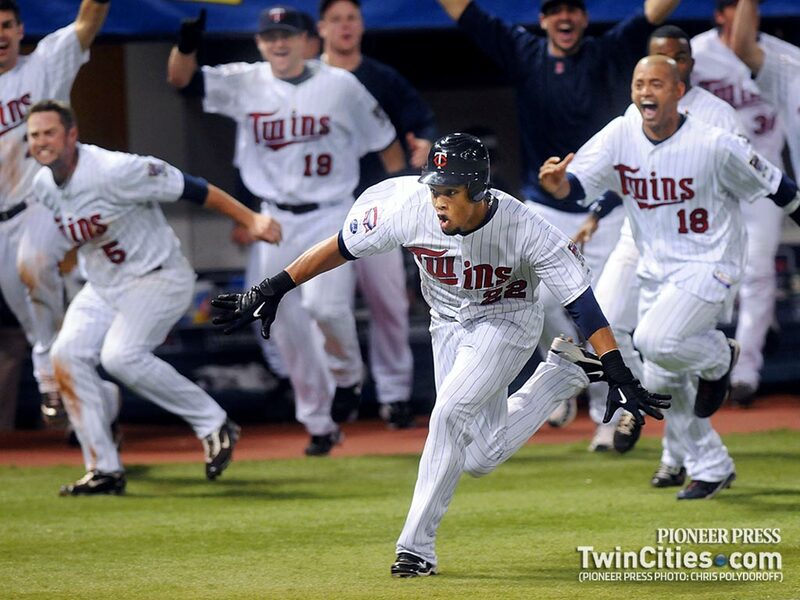 The Twins were 53-28 at home – the best in the American League. How could the Twins be so good at home when they can’t hit home runs there? The answer is simple: home runs aren’t needed to win ball games and this is the main reason Morneau is wrong. The Twins numbers at home (.282 AVG, .354 OBP, .422 SLG, .776 OPS) were much better than on the road (.265, .328, .421, .750). Minnesota’s offense produced more runs, RBI, doubles, triples, walks and had less strikeouts at home. As for the pitching splits, the numbers are far more skewed. On the road, Minnesota pitchers had a 4.39 earned run average to go with a 1.32 WHIP (walks and hits per innings pitched). At Target Field the pitchers’ ERA was 3.53 and their WHIP stood at 1.27. So, to sum things up, Mr. Morneau, the Twins score more runs and allow much less at Target Field. Why on earth should the Twins mess with this formula? There's nothing wrong with these dimensions. Target Field is not Yankee Stadium, where pop flies to right field end up in the seats. Home runs are earned here. In terms of the postseason, the one thing that differs baseball from other sports is it’s the sport most difficult to reach the playoffs. There are 30 teams in major league baseball and eight move to the postseason unlike basketball and hockey where 16 teams advance. In the NFL, 12 of 32 teams advance. There has been talk recently that baseball could expand its postseason to include two additional teams. Here’s what one baseball fan thinks. It’s not easy reaching the baseball playoffs and I hope it stays that way. However, if done properly, the playoffs could be just as challenging to reach if more teams are included. As of now the division winners of each league (three in each) automatically reach the postseason. There is one wild-card team in each league that represents the team with the best record that did not win its division. The first round of playoffs is a best-of-five series. The winner of those playoffs reach the league championship series in each league for a best-of-seven battle and the winner of those two reach the poorly named World Series (thanks for that egotistical title, 1903 sportswriters). To add the most excitement along with television ratings, it would be great to see baseball add one wild-card team to each league. The two wild-card teams would play something similar to what two teams that tied to end the season. Some call it a 163rd game and others a one-game playoff. The winner of that game would go on to play the team with the best record in its league regardless of what division they play in. Today’s rules state a wild-card winner cannot play a team in its own division in the first round. Why does this rule exist? My guess is so the Yankees and Red Sox can play seven games instead of five and increase television ratings. There is nothing more exciting than a one-game playoff. One-game tiebreakers were necessary in 2007, 2008 and 2009 and ratings were great. This cannot be said for the 2010 World Series which ended after only five games. Playoffs ratings for the NFL are always great and a big part of this is the importance of each game: loser goes home. When this instance happens in baseball, ratings skyrocket and baseball benefits for more than one reason. One-game postseason drama. The Tigers-Twins 2009 one-game playoff was ranked as the No. 1 regular season game of the decade on si.com. Many coaches will argue that a team’s destiny shouldn’t be based on one game after playing 162 during the regular season. My response is: Then maybe you should have won a few more games between April and October. A team has plenty of time to earn a division title. Wild-card teams shouldn’t earn the same privileges of division winners. Having a one-game playoff also won’t add onto the length of the playoffs. It can be played the day after the regular season ends and the winning team can have one day off before the division series begins. Should the players union demand for a best-of-three series, a doubleheader should be played one day and if the games are split, then the decisive third game should be played the next day. Having the wild-card team play extra games with its rotation out of order will also add to the disadvantage of playing the league’s top team. If this system were in place for the 2010 season, the Yankees and Red Sox would have been the wild-card teams in the American League. This means there would have been a winner-take-all Monday night game between these two large-market teams. Not only would baseball pull in huge ratings, but it would have created huge interest for the remainder of the playoffs and lasting highlights and memories. In the NFL, the top teams are given first-round byes: extra time to rest and prepare. This is wise. Baseball should find a way to better reward the best teams while making wild-card teams work to make up for their lack of wins during the regular season. As of now, the only disadvantage the wild-card team has is lack of home-field advantage. Ask the 1997 Marlins, 2002 Angels, 2003 Marlins and the 2004 Red Sox if home-field advantage makes a difference. More teams and playoff levels aren’t needed to spice up baseball’s postseason, but suspense and drama is. Where has the drama gone? Congratulations to the San Francisco Giants in winning their first World Series. They made the Texas Rangers look like the Seattle Mariners. It was great fun watching the Giants pitchers dominate. I do have one big complaint aimed at no one. It has now been eight years since baseball has played a seven-game World Series. This is the longest streak without a deciding game since 1913-1924 (11 years). Of course, this may not be comparable as the 1919-1921 World Series were a best-of-nine competition. I do like the fact that the National and American league has traded the title back and forth since 2005, but where has the drama gone? When will baseball fans have two evenly matched teams in the fall classic? We continue to wait.